Find the right interior outfit for you, woman or man! 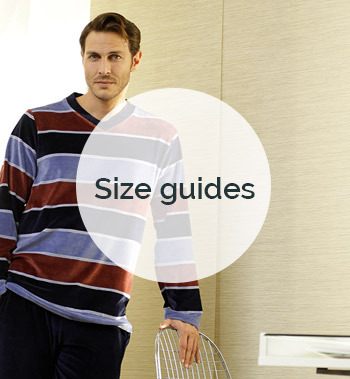 Discover our complete range of homewear or loungewear: interior outfits, pyjamas, dressing gowns, babydoll and many other clothes for night and day, both comfortable and at the cutting edge of fashion. We offer you quality products in order to best satisfy your requirements for comfort and refinement. 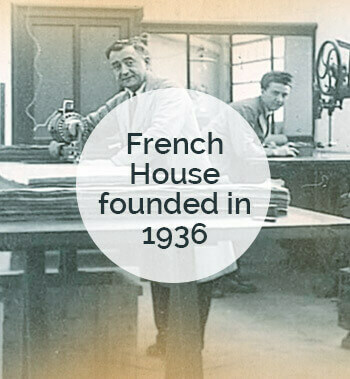 The history of our company is above all a family story, passionate about textiles and clothing. This is how the family textile company "Création Mervil" appeared in 1936, in the heart of the city of Roanne, in the impasse Fontval. The 3rd generation of this family of garment makers has been renewing itself by creating the Christian Cane brand in parallel since 1972, and specializes in nightwear and interiors. 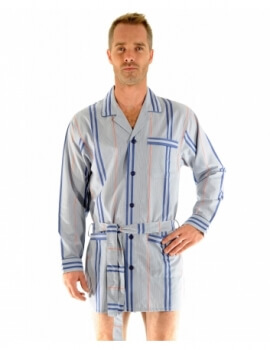 Later, a line of nightwear and indoor lingerie for women was created in 1995, followed by the launch of the men's underwear collection in 2004 (CANE brand). Since then, the Christian Cane brand has diversified in order to export its know-how to Europe and the rest of the world with the same concern for quality and French style elegance. The acquisition of Pilus in 2009 confirmed its success both in France and abroad by creating a premium range that is sold worldwide. A family history that has been part of the heritage and landscape of the Roannais basin for more than 80 years. Interior outfits composed of a set with a top and shorts or pants, to which you can add a jacket, waistcoat or cape. 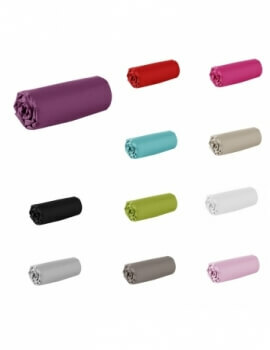 Cotton, velvet or fleece outfits according to your preferences and the seasons. 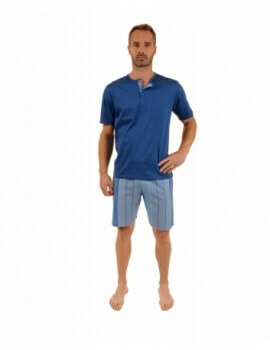 Relaxation clothes to feel good at home. 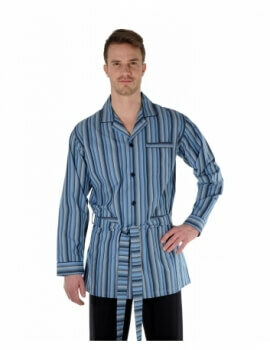 Also discover our dressing gown and bathrobe ranges, both soft and elegant with very feminine cuts. 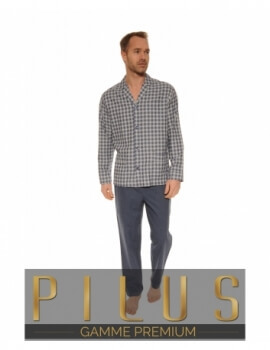 A range of long pyjamas in chic and trendy colours, with tunics with long or short sleeves, ready-made or more flared trousers, plain or with patterns. 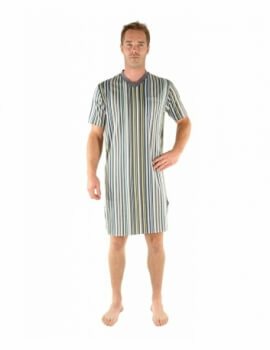 Nightgowns of all lengths, more or less tight, wise or transparent... But always comfortable as desired. The dressing gowns are made of microfibre or cotton for an immediate softness effect; with a wide choice of colours and cuts, long sleeves or ¾ After the bath, or over your interior outfit, your dressing gown will bring you warmth and well-being on a daily basis. The Premium collection, a prestigious selection of Christian Cane interior clothing distributed under the Pilus brand. We use more noble raw materials, such as silk or cashmere, which are more suitable for customers looking for top-of-the-range clothing. Pure refinement for today's women. You will find, among other things, in the Accessories section, very comfortable slippers for your cocooning days at home... But also a complete range of casual clothing for day and night, bathrobe, indoor clothing, babydoll... A choice to suit your expectations. 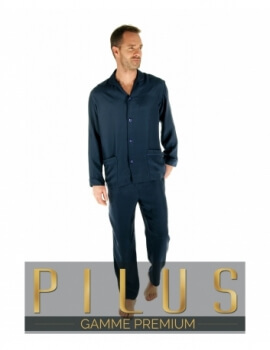 Comfortable but neat indoor outfits, a very complete collection of long pajamas, bathrobes and loungewear for quiet weekends with the family. French comfort and elegance! A range made for men that is both modern and trendy. 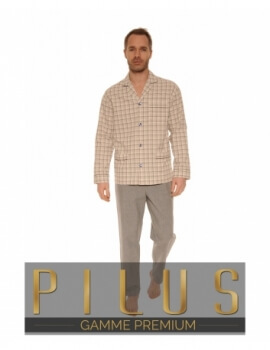 You will find gentlemen, a collection of very warm long pyjamas for winter, as well as a range of cotton, lightweight, short-sleeved and shorts for summer. It is also the big comeback of the shirt, totally redesigned, for those who don't like the feeling of being tight in pants. The pyjavest, the ultimate in refinement, is a man's night jacket with a very neat finish, made of cotton for a feeling of lightness. 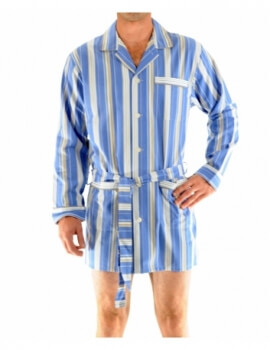 If you want to add a dressing gown, bathrobe or jacket to your outfit, a complete range is available. 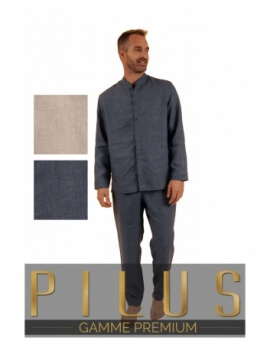 You will find in this collection all the indoor and nightwear that are already presented to you in the men's night and house range, but with more refined materials and requiring special know-how. Indeed, angora or flax are noble materials, requiring precise handling. The products we offer you in the premium range are even more refined and require an impeccable finish for optimal comfort. A know-how that we put at your disposal every day. The Christian Cane brand wishes above all to offer its customers quality products with a beautiful finish, with adapted and comfortable cuts thanks to an experience in textiles and clothing that has been passed on for 3 generations. 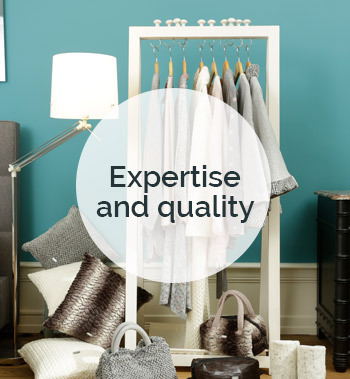 We take particular care in the choice of raw materials, as well as in quality control. 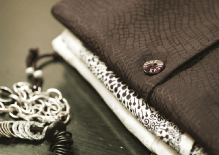 Our garment technicians are constantly looking for new ideas, with the same guiding principle: comfort and quality. Increased monitoring of the manufacturing process, compliance with measurements and manufacturing techniques in a state of mind that remains unchanged: satisfying a demanding clientele that appreciates refinement and well-being. Our site is very easy to use, which makes it easy for you to search through the many products available on our website. The price range, for example, allows you to manage the price range at which you want to buy. You can also select: size, color, check availability. Buying online is simple and fast as is our delivery time!